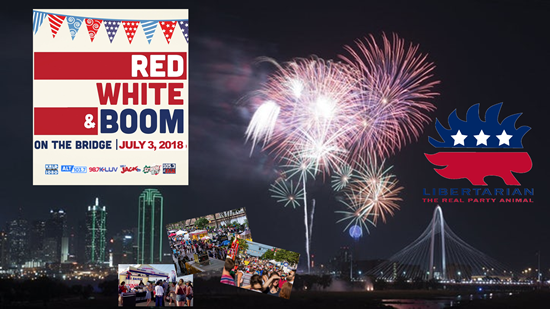 State and Local Libertarian Candidates, in my continuing partnership with CBS radio here in Dallas, I have been cordially invited to sponsor a booth at this years Red, White, and Boom on the Bridge Event. This event is the official City of Dallas July 4 celebration which draws in 75,000+ people. As I am exclusively the only political campaign and party represented at the festival, I’d like to extend this opportunity to you to have a place at the booth and share the Libertarian message. 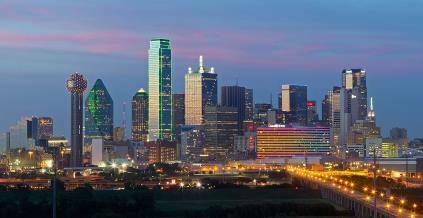 The beautiful Downtown Dallas skyline will light up with a fantastic fireworks show to celebrate America’s Independence Day. The Westbound Margaret Hunt Hill Bridge will also be closed and open to pedestrians! Texas Tea Party is NOT keen on the GOP Texas Comptroller incumbent, and recommends no GOP member for Land Commissioner. 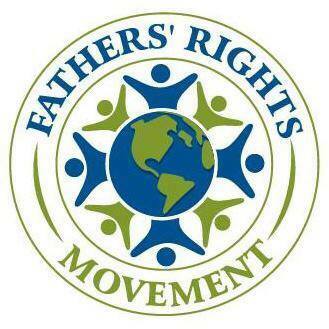 Again in 2018 for the second time running I am proud to support and endorse The Father's Rights Movement. 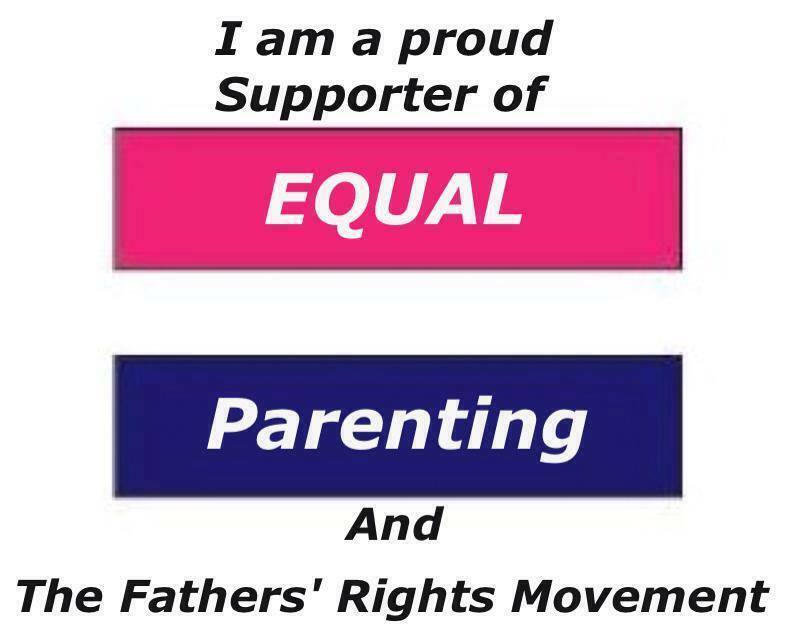 Equal Rights for Both Parents! Getting ready for an awesome 2018 State Convention of the Libertarian Party of Texas. I want to thank Anastasia Willford, party staff, members of SELC, our State Party officers, county chairs, and Party Chair John Wilford who have worked so hard to make this all possible. Thank you for all your hard work. Let's makes some change happen, and Together We Can Win! 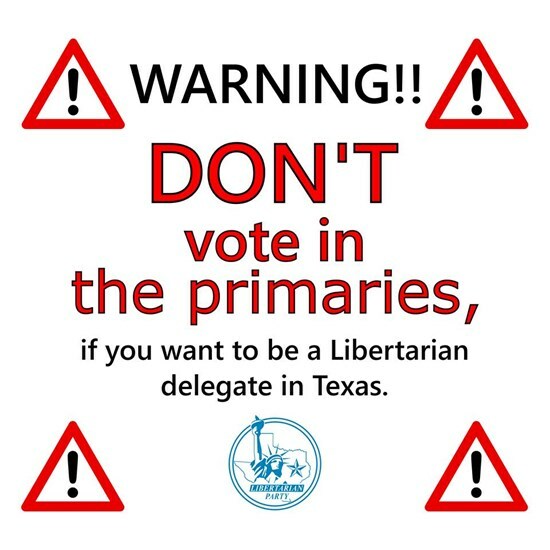 Texas has closed primaries, once a registered voter has in effect declared his or her party affiliation by voting for the nominees in a party's primary, that person cannot participate in the proceedings of another party. Together We Will Win This!!! 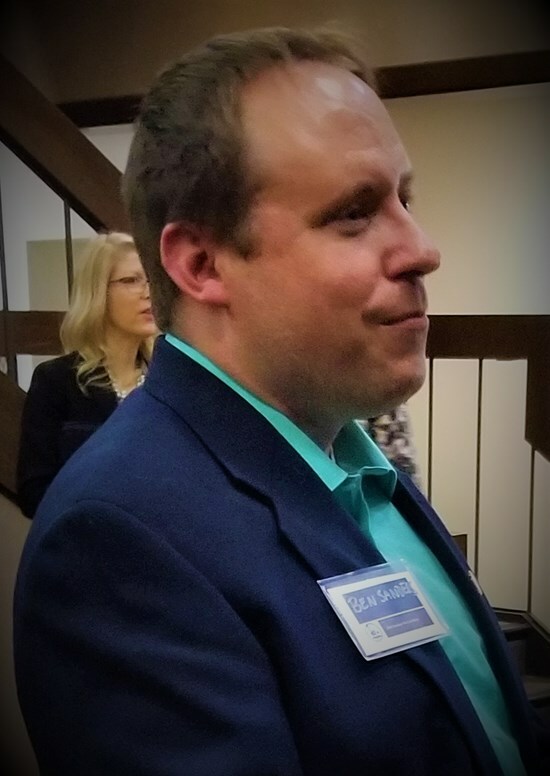 Dozens of Libertarian candidates will be at the event! At the historic Stockyard Hotel, in Fort Worth, TX Lots of great people and candidates, looking forward to the State Convention. Ben Sanders polling at 11% and climbing! 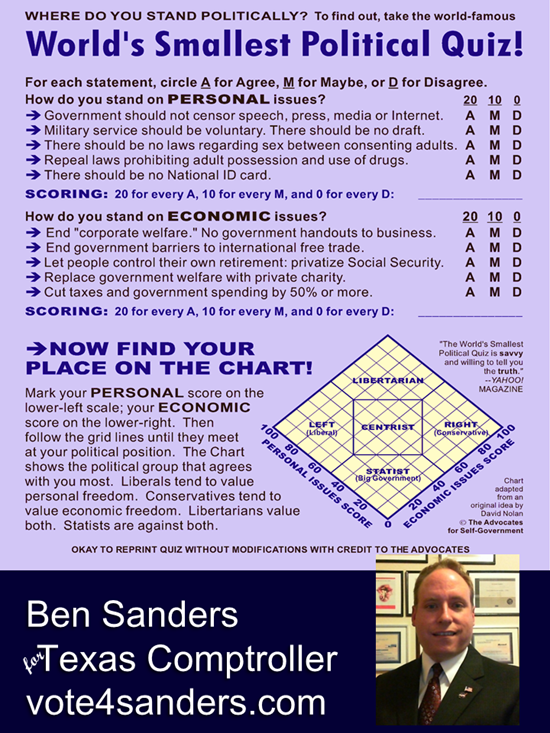 Latest UT/TT poll shows Libertarian Ben Sanders at 11% and climbing... It's now or never, you have a choice, you can have the career politician who've been caught cheating on his financial disclosure forms, or the former CFO of Exxon-Mobile. With a Doctorate in Business during my time at NASA and the US Army I use to hire Lawyers and CPAs, it time for real change. I am qualified and ready to lead! 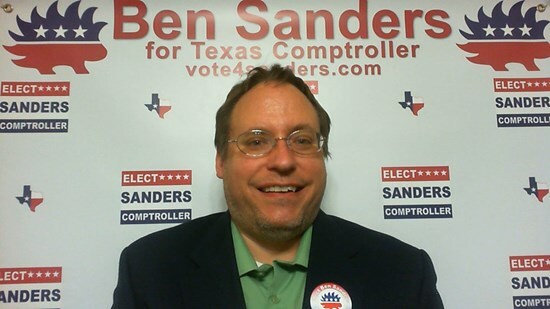 Vote Dr. Ben Sanders for Texas Comptroller! I am qualified and ready to lead! As Texas Comptroller I promise this will NEVER happen again while I am in office. While Texas gave millions in taxpayers money to Republican donors, attorney general Greg Abbott - now a candidate for Governor - blocked the public from finding out about it. Politicians are NOT above the law. Austin is Broken, I am the man to fix it! I am qualified and ready to lead! 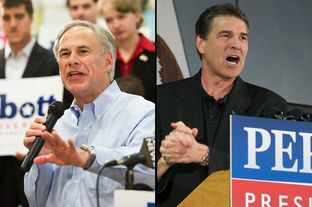 "...in a blistering state audit shows that at least five of the recipients that were named in Abbott’s 2004 rulings — and which got tens of millions of dollars from the fund — never actually submitted formal applications. And if no applications ever existed..."
When are Texans going to have enough? As Comptroller I will NOT tolerate this level of corruption. More mismanagement inside the Comptroller's office, and it's a big one. Here's what you need to know: the San Antonio Express News reporte...d that $50 million from the Major Events Trust may have been paid improperly to Formula One. And guess what: our Comptroller brokered the deal, even though a comptroller's job is to make sure deals are done right. As the watchdog the Comptroller can't be the deal maker. If the watchdog is the deal maker, you don't have a watchdog! See for yourself - we've got work to do! 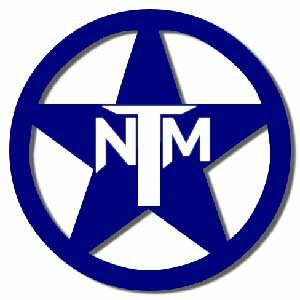 I am equally proud and humbled to receive the support and endorsement of The Fathers' Rights Movement of Texas and happy to bring these issue to light for all Texans and their families. 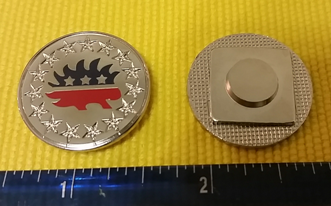 Get your Commemorative Libertarian Porcupine mascot lapel pin before they are gone! 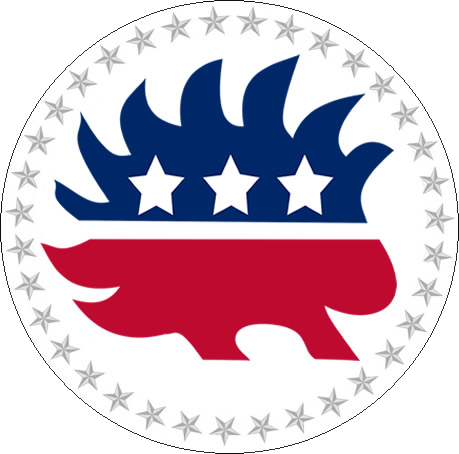 For a commemorative donation of $20.14 you’ll receive a limited edition first run Libertarian Porcupine mascot lapel pin. Each die struck pin has magnetic fastening, with a raised rim, hard enamel, and is burnished for that jewelry quality finish. Compare and Contrast the Candidates for Texas Comptroller on the DallasNews Voter's Guide Page. Select two people and see side-by-side. 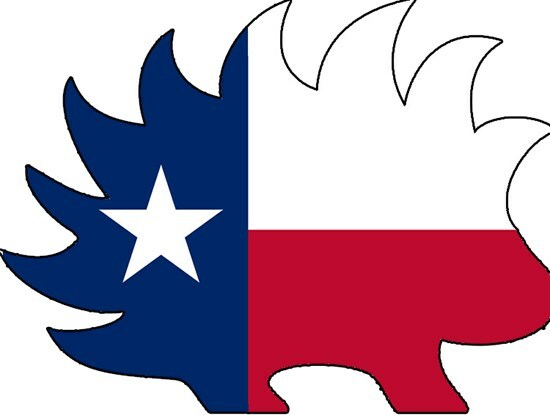 Texas Tea Party endorses Ben Sanders for Texas Comptroller. 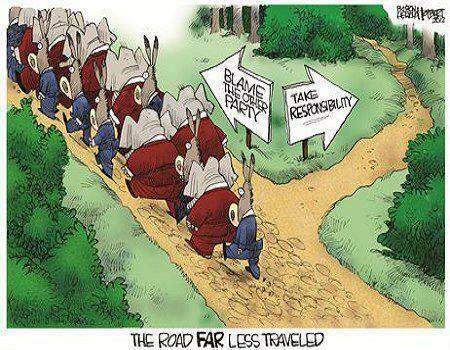 So tell me again who's to blame? Was on the air with Doc Green at AFP on Raging Elephants Radio. Thank you Doc Greene and Claver for having me on your show. Having a great time at the AFP conference with Kathie Glass, Brandee Brown, and others. I was very surprised that none of the other Texas Comptroller Candidates were in attendance to such an important conference as Americans for Prosperity. Are Student Loans Ruining Your Life? As Texas Comptroller I will resolve the Student Loan crisis for all Texans. Being a victim myself, 10 years and over $50k in legal fees, I know first hand how broken this system really is. See where I stand on the Issue with the State Pension funds and why Civil Servants should have the right to make their own decisions about retirement. If Texas won't pay children's college, why would they pay your retirement? If the State is willing to renege on Constitutionally mandated contracts with Children for their education and people who have 60 more years of voting. Why do you think the State will pay a retiree's pensions contracts when the funds have an unfunded liability of almost $54billion? Thank goodness I'm better at balancing books than bull riding. 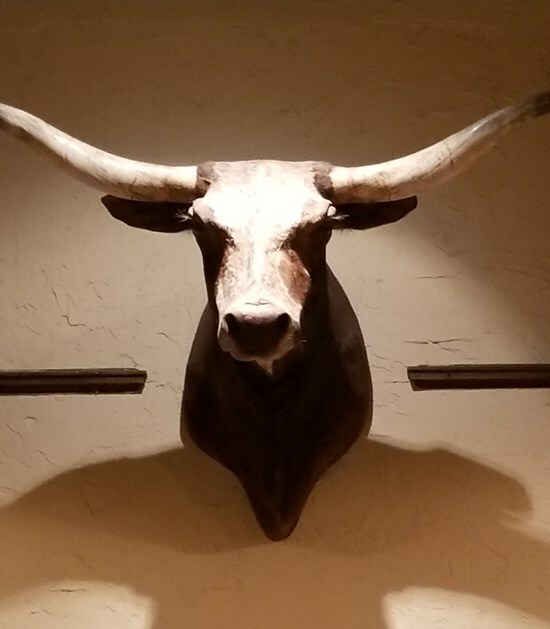 As Texas Comptroller I won't give up, and will get right back on that bull. Texas Economy is GREAT! and I'll make sure it stays that way. Exports grew by 4.1 percent to about $279 billion, solidifying Texas' lead in international exports among the states. Fill in your information and we'll send you your magnetic bumper sticker - free of charge! Where should we send your magnetic bumper sticker? This is an excerpt from The Life of Colonel David Crockett, a book I have cherished since I was child. These ideas I will hold strong as Texas Comptroller. Percentage wise this is where your money is going, and the problem is where to take money from. Now you can see where it is going. What would you cut to fund something else? The frightening thing is that the final vote on passage stood at 29-2 with only two voting no, Sen. Wendy Davis of Ft. Worth and Sen. Sylvia Garcia of Houston. As Comptroller I will never lie or use emotional manipulation to coerce my fellow Texans, no matter how dire the circumstances you know you will always get the truth. 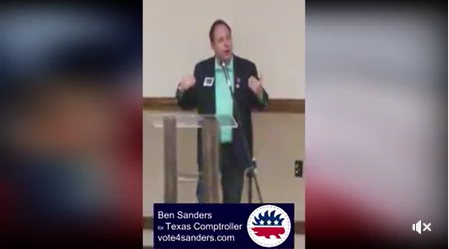 My name is Ben Sanders and I want to be the next Comptroller of Texas. I am qualified and ready to lead. Brave new world: Will robots of the future be libertarians? I love it...About time someone gets it!!! 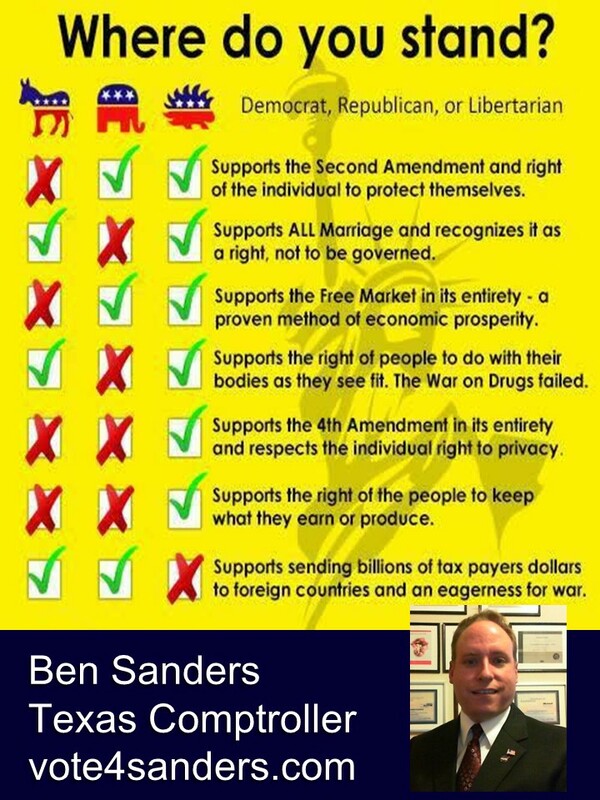 There is no one better suited to protect your money and tax dollars than a Libertarian. 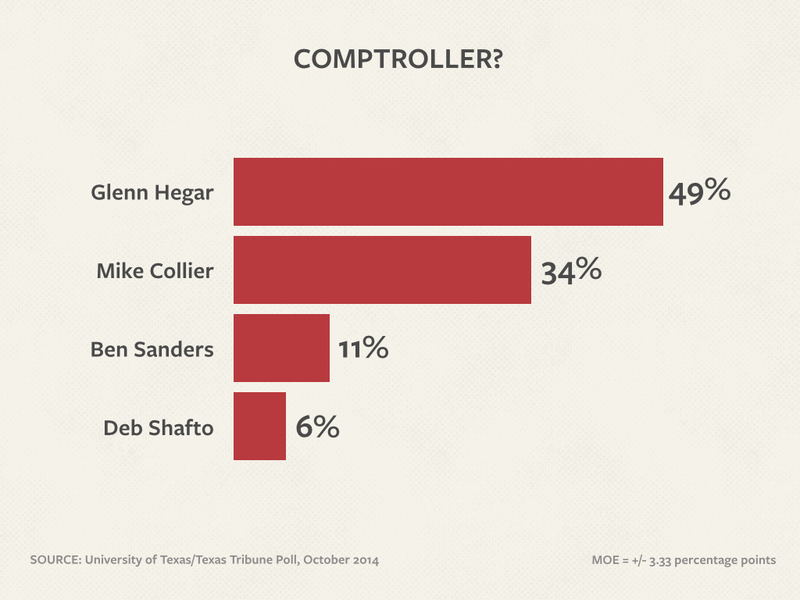 5% of Texans would vote Sanders for Comptroller with 37% undecided. 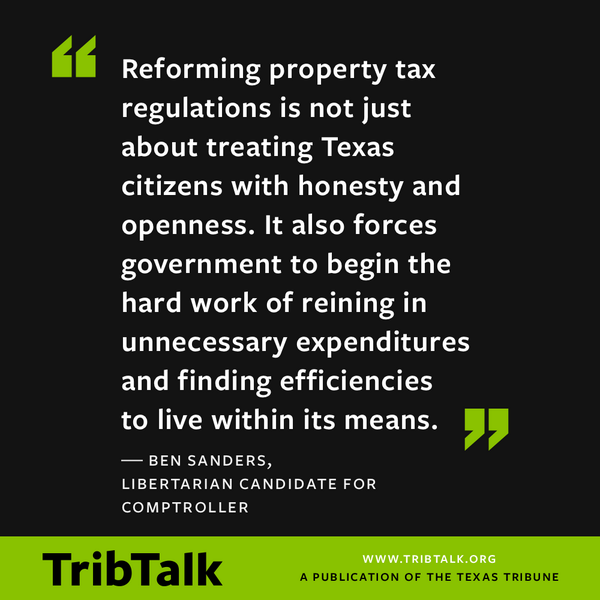 Ben Sanders is only Texas Comptroller candidate who voluntarily released their new 2013 Tax Returns to the Texas Tribune as a follow up to the story published on December 5th of 2013. 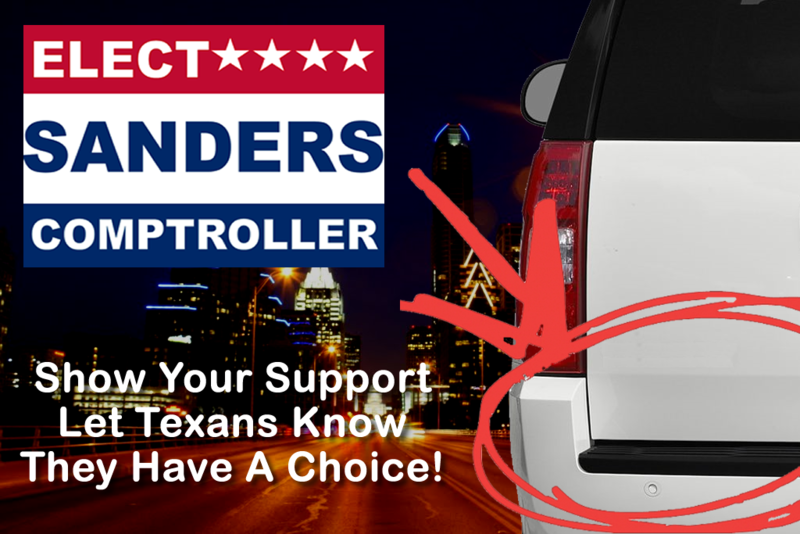 The new Campaign 18x12 Car magnets in the colors of the Texas Flag are in if you would like me to send you a set for your car or truck and you live in Texas please go to www.vote4sanders.com and submit your name and information in the volunteer section.